I’ve been part of a trade-off. 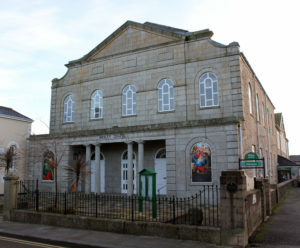 Following the closing of Carn Brea Methodist church most of the congregation joined in with St Euny church in Redruth. That means that once a month they have a local preacher from the Methodist church who comes to do a service and the trade-off is that I get to be on the Methodist plan and going around the churches in the district at least once a month. 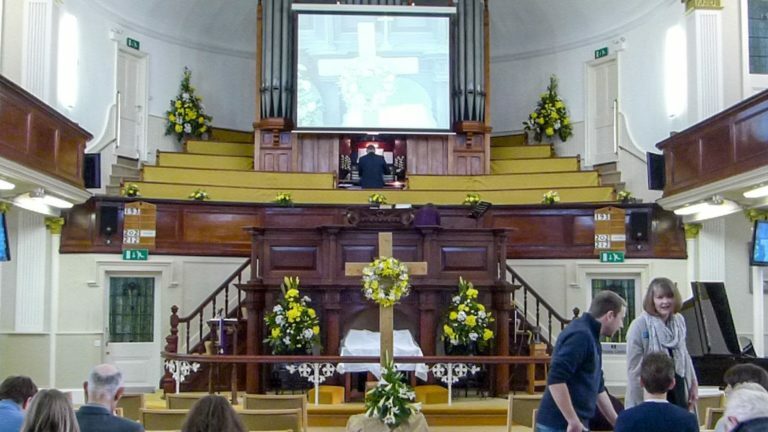 This Sunday I had the delight of experiencing Camborne Wesley Church and although I was taking the 10:30 service, I was invited to drop in to the cafe church that preceded it. I was are welcomed with a hug from of an old colleague that I had not seen for many years and escorted across the action to the serving table for some coffee. The local preacher leading it, a (young- compared with me) teacher called Nick, was effectively using laptop and projector for the structure of the service and providing accompaniment for the singing of worship songs are from Youtube. After a short talk interspersed with a clip from Youtube from an American speaker discussion points were posted up to enable the group to talk. Nick kindly sent me the link and questions which appear below. Have we strayed from the church of the bible? What’s missing from the church of Acts nowadays? Should we change our services/Change our hearts. When was the last time you were awestruck to be a part of God’s church? What could you give to the church? I’m afraid the American speaker did not really inspire me at all, I prefer my preaching live, but the questions are certainly of interest and some are probably those that are asked in churches of all denominations throughout the land in one way or another. The question that instantly pricked my interest was should we change our services or change our hearts? My first thought was that this should not be an either or question, after all we can change both services and hearts just as we can change one of them without the other. And….. if you change hearts they might just want to change services….. or not! I’ve now been a reader for 30 years and an active worship group and house group leader for half a dozen years longer than that and change is something with which I have wrestled more or less zealously for all of that time. I used to think that need to throw out the old staid services and replace them with lively, attractive, entertaining offerings that folk from outside the church would want to attend. These days I hope I’m a little more pragmatic and understanding of the needs of both those in the church and those outside. Let’s delve a little more. The service I lead on Sunday was in the chapel. There was a large projection screen on which I had my service and the words of the hymns of which two were reasonably modern and two were old but very singable and all had a theological content that was appropriate to the service. There was a good sized choir who, like the rest of the congregation, were mostly quite senior. There were a few children and would normally be more if it were not for café church first. Because Wesley is so large the congregation were quite spread out so it was hard to judge numbers but it seemed more than I have had elsewhere. In the service I used prayers from the Iona community and the Northumbrian community but it pretty much followed a pattern of Anglican or Methodist morning worship interspersed with stories for children who left after second hymn and a sermon that was a little longer than I would preach in an Anglican setting. 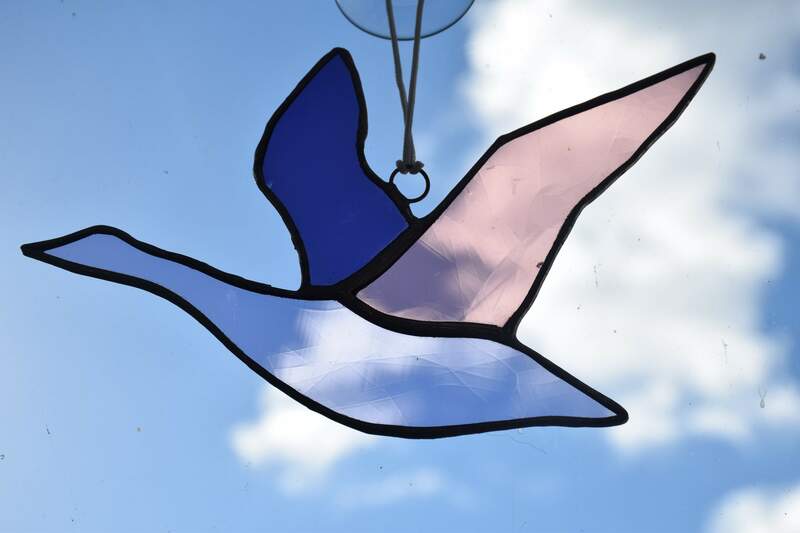 It seemed very well received and I found the experience both uplifting, energising and spirit lead. Just because the service did not use worship songs, a band and involve people losing themselves in the music did not mean that this service was any the less efficacious for the people there. Were the service to be changed radically to appeal to what our idea would be popular and then we might well run the risk of losing the good folk that we already have, and worse, we might even blame them for having hard hearts that won’t change! Somehow we have to do a balancing act even if it means having two or more congregations and I don’t really see any problem with that anymore. The Church of England and the Methodist Church has a theologically broad membership who have different needs. Trying to please all of the people all of the time is an impossibility though you may certainly please some of the people some of the time and if you are very lucky, all of the people some of the time. What do think about using YouTube clips as part of services? Was there a question that stood out for you? Are there any of the questions that irritate you? The Church of England’s Ministry Division is looking for an experienced lay minister…..